Critics of lawn spraying claim that lawn spraying is bad for you, your pets and the environment and the lawn is a useless and meaningless use of the good earth. The claims are bogus – it is all about feelings and not about science. The raw materials used in lawn spraying are regulated, tested and certified by state and federal agencies safe to use on lawns. The regulations, testing and certifications are strict: No product that causes any cancer in any mammal or pollutes the environment can be applied to lawns. In 1972 when that criteria was introduced, the industry leaders doubted products could be discovered and manufactured that would meet the criteria. For them, they thought it was “game over”. Fast forward 40 years and today we have products that are non-carcinogenic and non-polluting. The posting signs required by law that warn people and pets to stay off until dry is a relic of the 70’s when lawn spraying was first introduced. In 1970, some of the chemicals were hazardous and posting warning signs was wise. However, today, the signs are a form of roadside advertisement with a warning attached. If the posting laws were reevaluated, posting signs would be tossed into a same pile with typewriters and rabbit ear antennas – functional but not needed. The chemical engineers are the real heroes. They managed to duplicate in the laboratory what marigolds do naturally – produce an insecticide that is harmless to people, pets and the environment. The modern insecticides are called synthetic botanicals – naturally occurring insecticides manufactured in the laboratory that are as safe as sniffing a marigold flower. So safe, they are used in the flea shampoo for your pet. 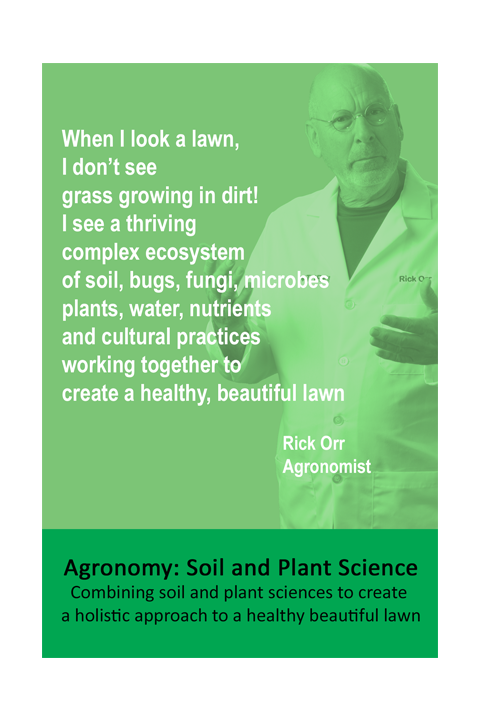 My resume spans over 35 years – starting with a BS in Agronomy from Va Tech passing through Golf Courses, Resorts, College Teaching to finishing out in lawn spraying. I am required by law to continue my education with over 4 hours of continuing education every year. In addition, my suppliers do a wonderful job keeping me updated on the new technology with literature, scientific research, and samples. 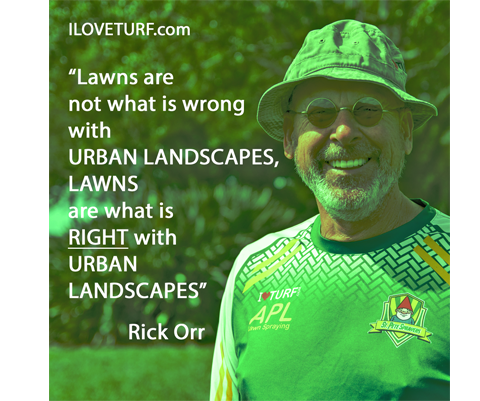 I am a highly trained and skilled professional using highly advanced practices and products on your lawn. I am efficient and effective causing no impact on the environment. The same cannot be said of average DIY Joe doubling up on insecticides and fertilizer to get “better” results. In regards to consumer products, often I am asked about “such’n such” at Home Depot. Yet because of the advanced technology I use and the “dumbing-down” of consumer products, I usually cannot comment – there is little similarity between my practices and products and the consumer market. If there is going to be harm to people, pets and the environment, it will be the “Weekend Warrior” doubling down on fertilizer and insecticide to cure chinch bugs in one hour. If your concern is the environment – hiring a professional is best for environment. There is nothing better for you, your pets and the environment than a healthy lawn – it acts like a biological filter surrounding your home. 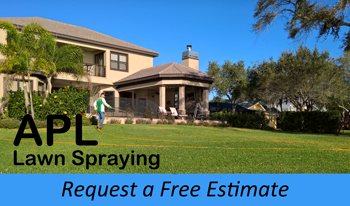 Professional lawn spraying is not a form of pollution, but a service that keeps your lawn - that biological filter - operating at full capacity. Lawn spraying is not polluting – it is effective, accurate use of products that are safe and do not pollute.